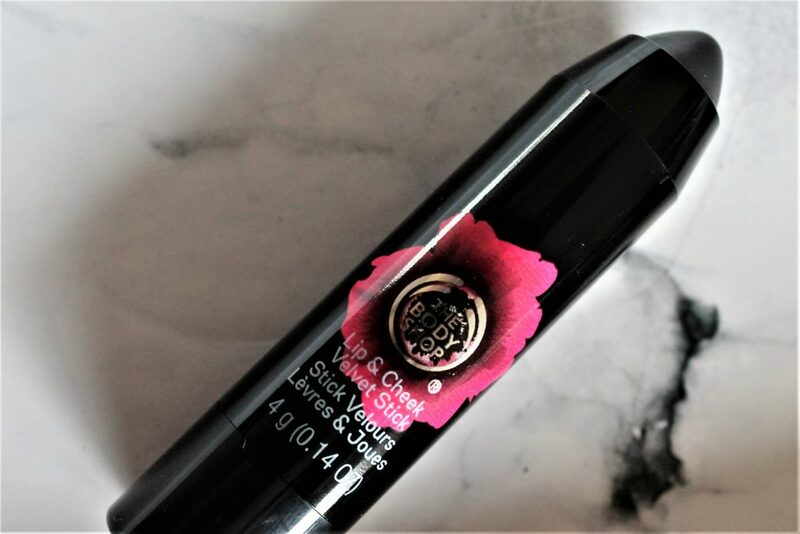 Meet the self adjusting multitasking lip and cheek colour from The Body Shop. 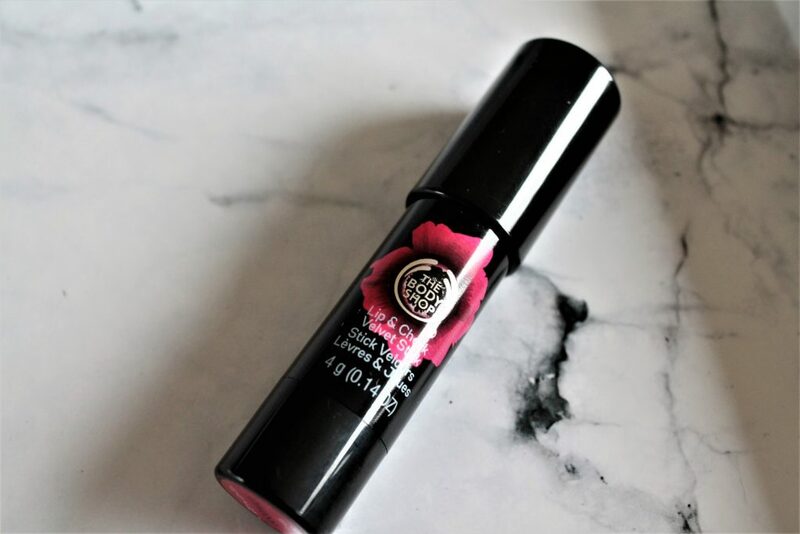 The Body Shop Black Poppy Lip & Cheek Velvet Stick is a one-shade suits all product that adapts to the skin giving a slightly different shade for every wearer. At first I thought that this was a bit gimmicky. A black gel product that turns pink? Then I tried it. I really liked the subtle cheek colour and ever so slight lip tint. It is a very natural look that I wear on ‘no makeup days’ when I just want a slight flush of colour to perk my complexion up a little. 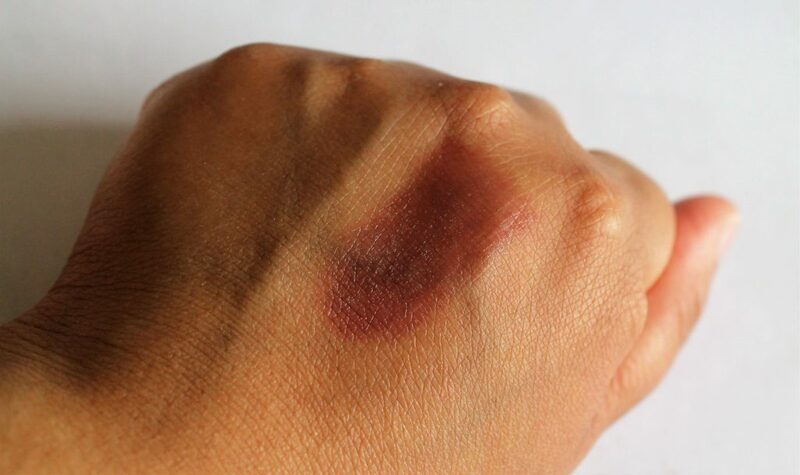 On my skin it’s a nice mauve/ plum shade, and on my lips it is pretty much the colour of my slightly darker top lip. I’m not keen on parting with £12 but that said, there are often sales either at Body Shop online or via the direct sales arm Body Shop At Home***. After regular use on cheeks and lips, it does get a little too blunt to get a neat finish on the lips. It can be applied using a lip brush but it is so sheer that it is best applied direct to the lips. I wear it more like a subtle lip stain rather than a lipstick. 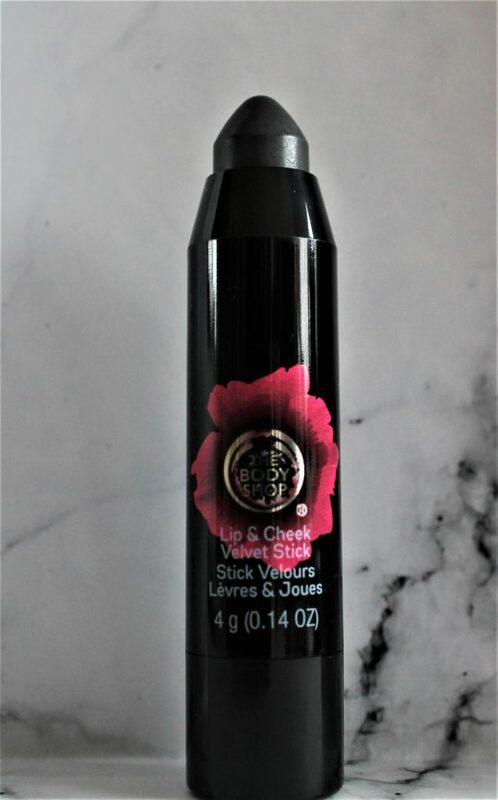 Leave a reply on "Colour multitaskers: Body Shop Black Poppy Lip & Cheek Velvet Stick"